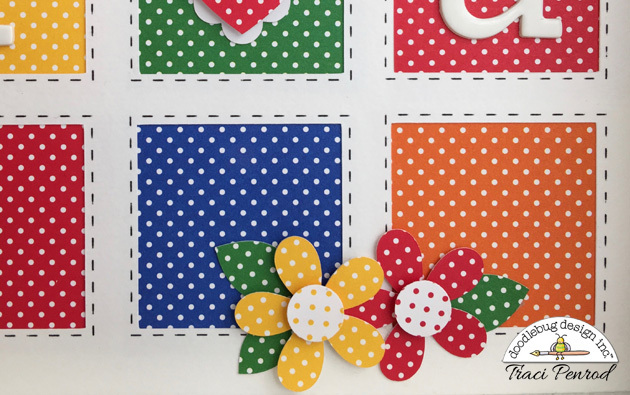 Hi everyone, it's Traci and I'm back to share my swiss dot project with you! 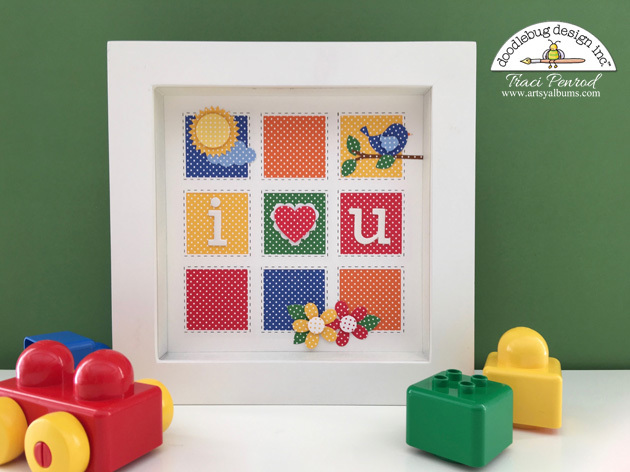 I love primary colors and although the new swiss dot papers come in lots of fun colors, I chose the primary ones for my framed decor piece. I think this will look really cute in a child's room! I love this 8x8 shadowbox frame from Doodlebug, and it worked perfectly for my picture. To create the white mat, I designed a background with my Silhouette CAMEO machine. I used sketch pens to create the "stitched" boxes and then cut the inside squares out. 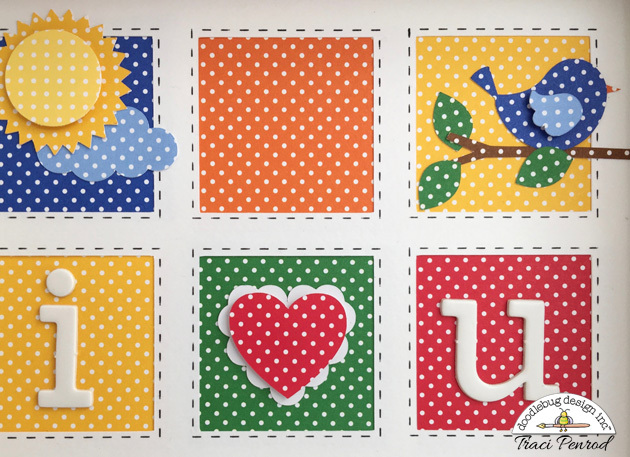 I also used my Silhouette to cut out each embellishment -- the swiss dot papers cut beautifully! Love the colors you chose! Beautiful! OMG Your Shadow Box is Fabulous & Gorgeous!!! I love Polka Dots and went crazy when I saw this. The colors are so Beautiful....You totally outdid yourself and definitely did a super outstanding creative job it's definitely a BIG WOW!! YOU so ROCK!! This is just fabulous Traci!!! What a fantastic project. So cute.